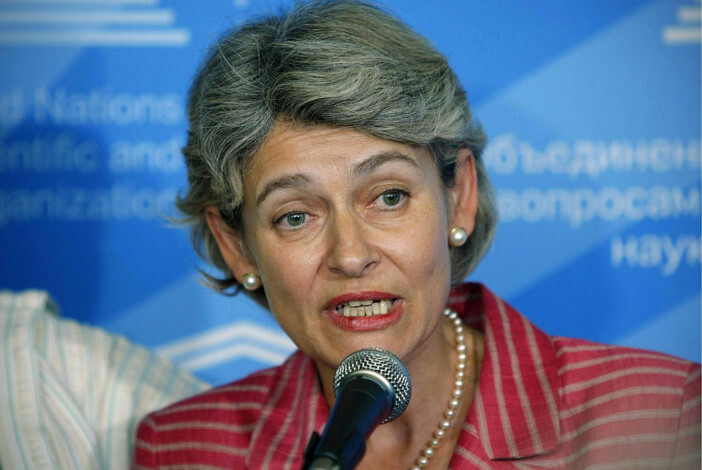 (May 15th, 2016) UNESCO Director General Irina Bokova told an event organized at the United Nations University in Tokyo that the ‘’world needs more soft power to diffuse tensions, prevent conflict and build coalitions around a positive agenda.’’ She discuss ed UNESCO’s broad mandate to ‘’build peace in the minds of men and women’’ and promoted the United Nations’ Sustainable Development Goals and the Paris agreement to address climate change and the poverty and insecurity stemming from it. The director-general recalled Japan’s deep role in promoting UNESCO’s core mandate to build peace, noting the founding of the first UNESCO club in Sendai, Japan, in the early 1950s. She highlighted the breadth of Japan’s contribution to the organization, including its leadership on education for sustainable development, support for Afghanistan’s largest literacy program and protection of cultural heritages. She said that the central challenge is charting new ways to learn how to live together, drawing attention to UNESCO’s leadership in Global Citizenship Education. She underlined the importance of teaching history and the humanities, developing cultural competencies and using the full range of UNESCO’s networks to nurture more empathy, tolerance and solidarity. The Boston Global Forum (BGF) collaborates with UNESCO on global education and citizenship projects, especially through the Global Learning and Global Citizenship program at the University of California at Los Angeles (UCLA). Prof. Carlos Alberto Torres, Distinguished Professor of Education at UCLA, is the UNESCO Chair in Global Learning and Global Citizenship Education and member of the BGF’s Board of Thinkers. Nguyen Anh Tuan, the BGF’s chief executive and co-founder, is Chair of the International Advisory Committee of the UNESCO-UCLA Chair on Global Citizenship Education. The Committee’s main responsibilities are supporting the research and development of the UNESCO-UCLA Chair.